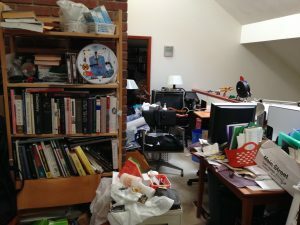 “I’m downsizing – what do I do with all this stuff?” – "I'm So Overwhelmed!" Too much stuff? Don’t know where to begin? Is it worth selling? And what do I do with it? Downsizing a lifetime of possessions can seem like an impossible task, especially in the face of a move. You need information so you can make decisions. Maybe compassionate help letting go. And a plan for getting the stuff out the door. We use a logical and efficient process specific to your situation and timeframes to sort and remove your unwanted items. We can help you lighten your load whether you’re downsizing before or after a move, while your home is on the market, or even just de-cluttering to make your current home more accommodating. We give you real market info, so you can decide whether to keep, sell, donate or toss your unwanted stuff. You don’t want to toss the treasures, or waste time trying to sell trash.